Historically, employer-sponsored benefits were the sole components of a benefits program. With the rising cost of benefit coverage along with the diversity of needs in a broad employee demographic, voluntary benefits are an increasingly popular addition to a "core" benefits program. It is crucial that the entire benefit program, core and voluntary, works together in a way that makes sense to employees and is advantageous to the employer. 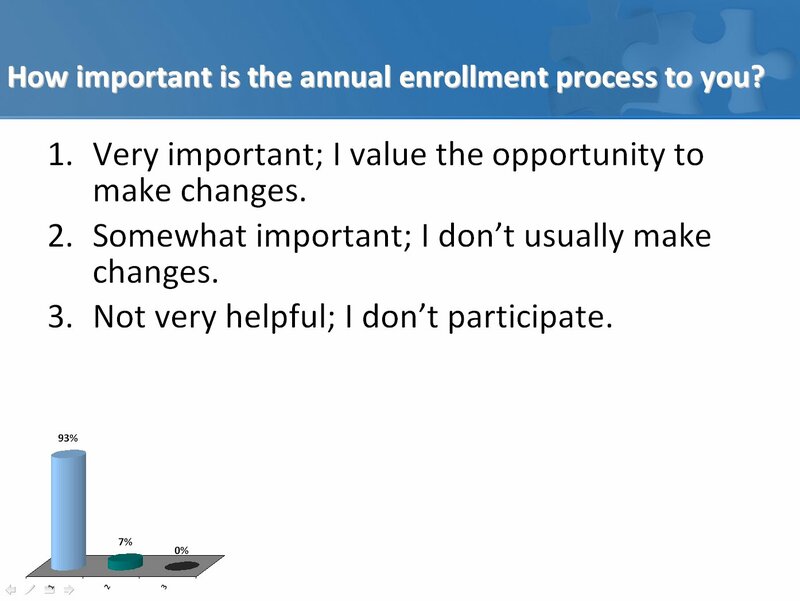 A key component is knowing what benefits employees value and what additional coverage they would like to access. Worksite Communciations assists employeers determine the right mix of options to offer employees to maximize employee satisfaction. We recommend conducting an employee survey (paper and online) and/or face-to-face focus groups to determine what employees want as part of their benefits programs and how they feel about other benefit related issues such as wellness programs, employee communication, and enrollment methods. The results can be surprising and understanding employee views enhances program suitability and acceptance leading to sustainability of the program. 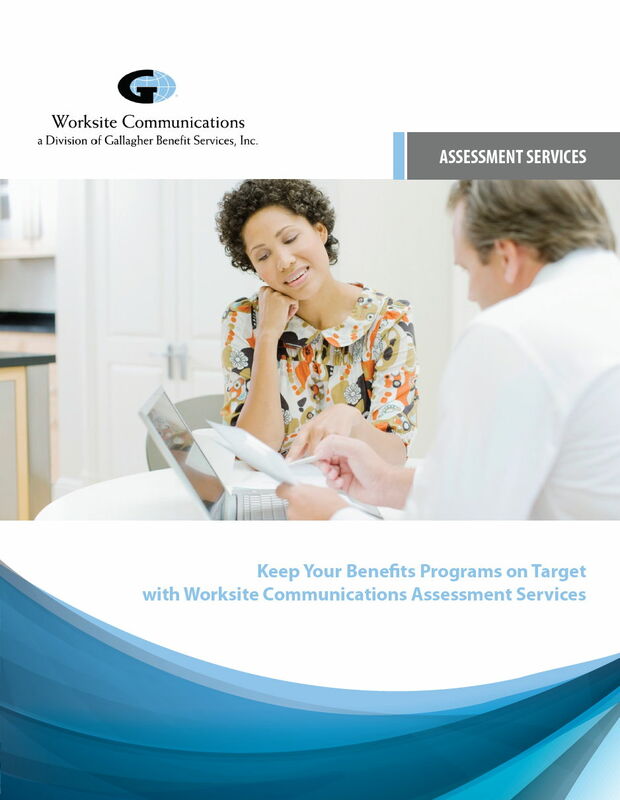 Worksite Communications will analyze the employee feedback and provide a written recommendation identifying appropriate voluntary programs based on employee preferences and the employer's goals and benefits philosophy. Professional training staff is provided to come on site and conduct the focus group meetings. Client participation in the meetings is encouraged but not required. As a first step we provide a draft sample questionnaire for review. The questionnaire is customized to ensure the most important issues are addressed. Once the questionnaire is established we set up the software and provide the hardware to conduct the focus group meetings. Assistance from the employer is needed to identify work locations where the meetings take place and sending an email to work location supervisors requesting their cooperation with the process. We recommend three or four sites be selected and we typically recruit 12 to 15 participants per location. We will contact the location supervisors directly and obtain their help in recruiting the volunteer employee participants. We also provide gift cards to the participants for taking the time to participate unless this is prohibited by the employer.